Commemorate Pope Francis I, the new 266th Roman Catholic Pope, with this Pope Francis 1 oz .999 Silver Round produced by Golden State Mint. 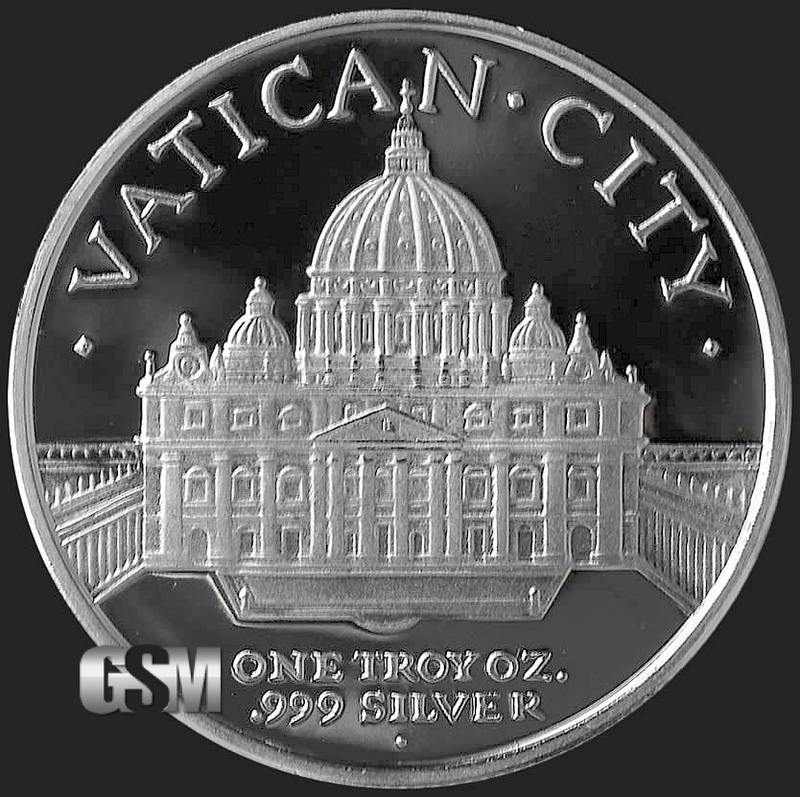 Featuring an image of the Holy Father on one side and an image of Vatican City on the reverse side, our 1 oz silver coin looks attractive with its crisp design. 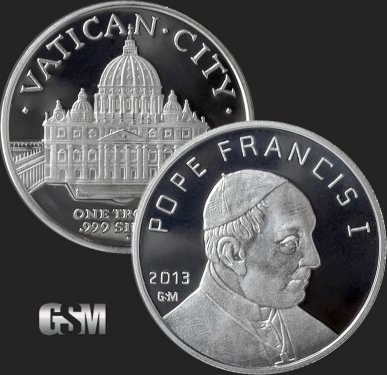 Coin collectors interested in the history of the Roman Catholic church will want to own this special silver coin. Perfect for the numismatist who is also an amateur history buff, the coin offers a unique touch to any collection. 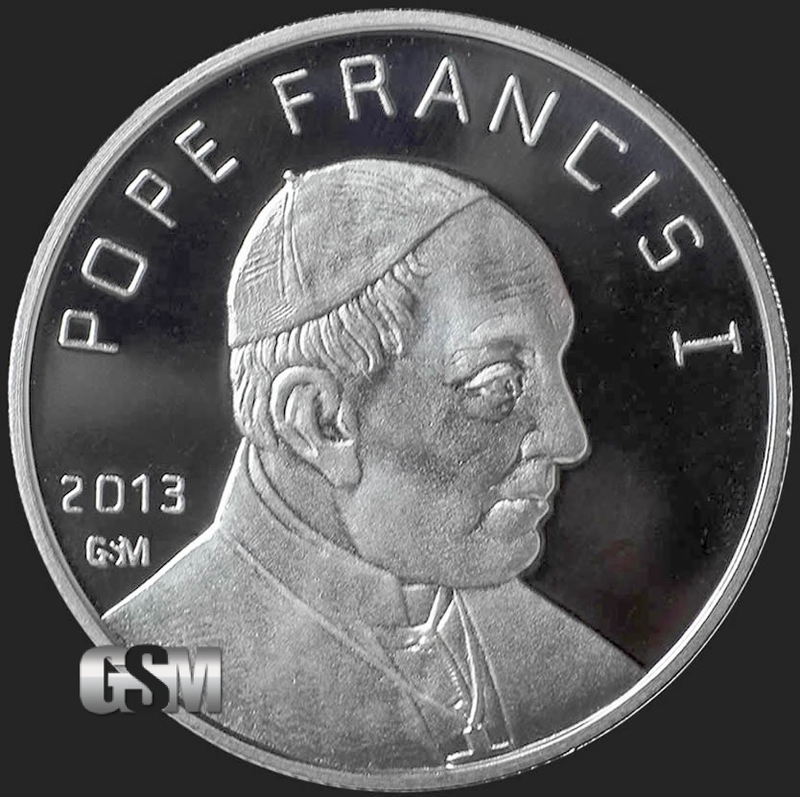 If you liked this product, you should check out our 1 oz Copper Saint Gaudens, 1 oz Silver Saint Gaudens, and 1 oz Copper Pope Francis.